Join us in our climb to raise money for Dr. Hall and Susie’s Art Cart! This fund provides children in the hospital with art supplies to create master pieces and begin in their healing process. 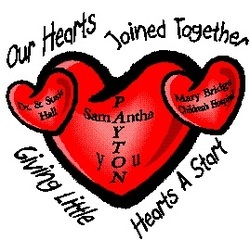 50% of the proceeds will be donated to the Art Cart in honor of Payton and Samantha Allen. Payton began giving back to the hospital when she was 4 years old. Even at this early age, Payton recognized the need to give back to the doctor and hospital that gave so much to her. Each year, she enlists more and more friends and family to join her efforts to give back. Why Dr. Hall and Susie’s Art Cart ? Dr. Dale Hall is a pediatric heart surgeon at Mary Bridge Children’s Hospital. We first met him when Payton was 3 days old. Payton was born with a hole in her heart that required 3 surgeries all before the age of one. Dr. Hall and his team at Mary Bridge not only saved Payton’s life, but they were loving and supportive to our entire family. Dr. Hall and his wife, Susie, started the Art Cart. The fund provides art supplies to children and their siblings during their hospital stay. Art is a great way for children to express their feelings and begin in the healing process. 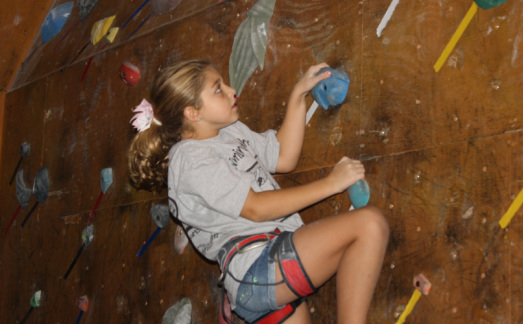 Payton started rock climbing when she was 6 years old. She loves it so much that she has shared her passion with her entire family. Rock climbing is a great way for Payton to strengthen her heart. It is a sport that she will be able to do throughout her life. She loves to climb indoors and outdoors. Each day of climbing is different- whether we change locations or simply work on a different route. Her desire to become a better climber lead us to Dallas Rocks. She has joined the team “Southern Rocks” and would like to get more of her family and friends involved in the sport. Thank you for joining us today and sharing in Payton and Samantha’s passion. Each year our fundraiser has grown. In 2004, it started with Payton and her piggy bank. She purchased books and stuffed animals for 10 children with heart conditions. Her second year, she read chapter books and asked family and friends to sponsor her, raising a little over $2,000. At age 6, she and her sister swam laps and again, family and friends sponsored her. 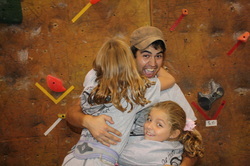 Last year, she chose rock climbing as a theme and she received so much support- she doubled her goal of $3,500. This year, she enlisted her sister to try to “climb higher” for all of the children in the hospital. Their goal is $7,000! And with your help, they will make it. Thank you so much for your dedication and support. Thank you for helping spread the word. Without each of you, this would not be possible! T-Shirts? Our very own T-Shirts?!? Thanks to some very good friends, our climb-a-thon was outfitted with T-shirts. Our friends put us in touch with several great people at Safeguard- they printed our t-shirts to benefit our fundraiser. We were excited to share our new logo with everyone and have our message spread throughout the community. Now, whenever anyone wears their shirt, our message is out and helping raise money for the children at Mary Bridge.